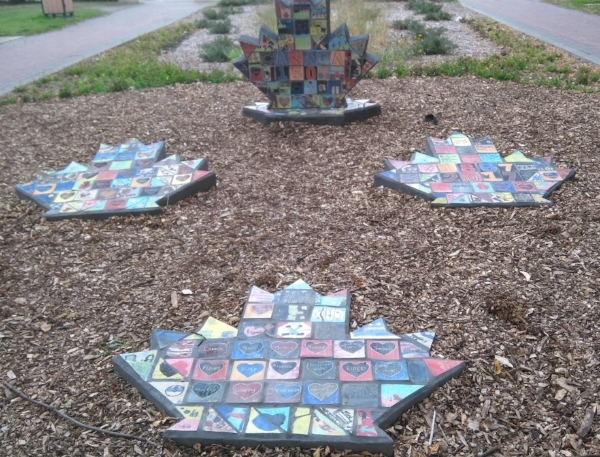 Throughout Moose Jaw and mostly in Crescent Park, the Moose Jaw Museum & Art Gallery has initiated the creation and placement of public art in our community. As one of the mandates of the MJM&AG is to bridge culture and community through visual art, outdoor public art contributes significantly towards beautification of our city, increasing cultural pride and enhancing the visual identity of Moose Jaw for community members and visitors. Here are some examples of the continued work that we do, partnering with artists, community members and students. Douglas Lindelbach is a chainsaw carver from Saskatoon, Saskatchewan. He has been carving for the last 25 years in both ice and wood and has participated in national and international competitions at the Manitou Beach Maple Madness Chainsaw Carving Competition, SK, Chetwynd World Championship Chainsaw Carving, BC, Festival Voyager Chainsaw Competition, Winnipeg, and currently working on a commissioned War Memorial sculpture in Saskatoon, SK. The second artist that was selected for the Crescent Park project is Kevin Bendig who is a carver originally from Northern, Saskatchewan but has relocated to Nelson, BC where he is studying to be a doctor of Traditional Chinese Medicine. He has been carving for over 6 years and has worked with Doug Lingelbach on a number of collaboration projects. Both artists will be working together on the Crescent Park tree projects and will complete 2 trees. The first tree will focus on the rich history of the railway. The tree will feature a large bust of a railroad worker with symbolic western red lilies and wheat bundles intertwining around the tree. An added feature will be a carving of a great old steam train carved into a functional bench. The second project in Crescent Park will feature a Burrowing Owl which is an endangered native bird but also a symbol of our community. Along the tree other features will be added to commemorate the Canada 150 theme which will include Canadian Maple Leaves and the Saskatchewan map carved into the back with other flora and fauna wrapped around the tree. Douglas Lingelbach working on the Canada 150 tree carving. Artists Kevin Bendig and Doug Lindelbach pose in front of the History of the Railway tree that has incorporated the original rails which were donated by Canadian Pacific Rail to complete the piece. Karlie King is a mixed media visual artist from Regina, Saskatchewan. 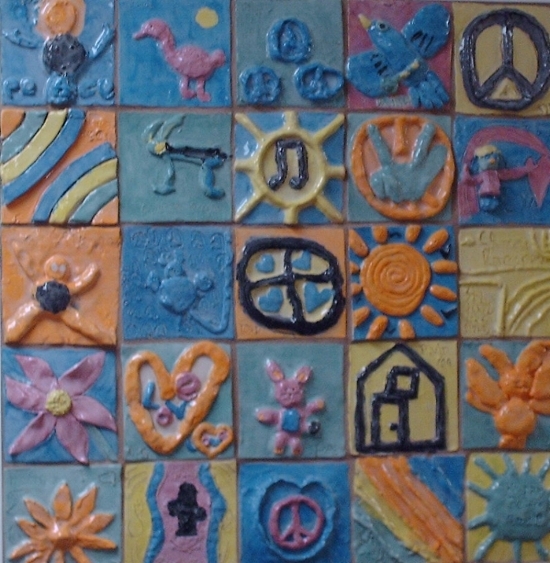 She used clay as her material to work with on this project. The first part of her time was spent creating slabs in the clay studio at the Moose Jaw Museum & Art Gallery in which were layered with patterns and textures in an organic symmetrical pattern. Later they were fit and molded around the tree and designed with opened areas of the tree showing. Once the tiles were fired, they were permanently installed onto the tree. Karlie King standing beside the completed tree with clay tiles attached to it. Jim Niedermayer is a chainsaw carver from Pine Falls, Manitoba. He has been carving for the last 7 years and has participated in competitions in Manitou Beach, SK, Northern Manitoba Trappers Festival in Kenora, ON and the National Canadian Chainsaw competitions in London, ON. This year he helped organize a competition in his hometown of Pine Falls. For the project in Crescent Park, he selected the swan as his focal point since wildlife is his passion and a bird that symbolized the park for many years. Jim Niedermayer standing beside his completed tree carving which depicts a swan carving on top. Almost 500 people participated in making tiles for this project. Students from St. Mary's School - Kindergarten and Grade 3 classes, St. Margaret's School - Grade 1, 3, 4, 7 and 8 classes, Sunningdale School - Kindergarten classes, St. Agnes School - Grade 5 & 8 classes, St. Michaels School - Grade 3 class, King George School - Grade 6 class, Sacred Heart School - Grade 8 class, Prince Arthur School - Grade 4/5, South West Daycare students, Project 104 students, Intellectually Challenged Adult Art Class, Nichole Cornea. Christy Schweiger, Education Coordinator at the Moose Jaw Museum & Art Gallery, designed placement of tiles for project, cut slabs of clay, cut tiles from clay, dried, loaded them into kiln, fire tiles (bisques), made glazes to work on project, coordinated classes to participate in project, had participants paint tiles with themes, once painted a clear glaze on tiles, fire tiles (glaze firing), designed where each tile goes on project. An additional 30 hours were done through contributions of volunteers to help with tile cutting tiles, scoring tiles, applying clear glaze on tiles, removing glaze off back of tiles, count and keep inventory of tiles. The mural is a collaborative piece of 150 ceramic tiles commemorating the Diamond Jubilee of her Royal Majesty Queen Elizabeth II. Several local groups came together to share their talents, including St. Agnes School Grades 3 to 6 students, Phoenix Academy, Moose Jaw Girl Guides, and members of the Moose Jaw Museum & Art Gallery Intellectually Challenged art class. Special thanks to Nichole Cornea for her participation in this project. 272 make up this 2 part mural that depicts the history of Crescent Park and its 100 year + history in our community. Local schools participated in this projects and a tile with their teacher and grade are marked on the framed mural on the left and students contributed to a birds eye view of Crescent Park with landmarks is on the right. Students in our summer Teen Art Class worked with Lee Stearns to create this backdrop and learned how to airbrush. Students in our summer Teen Art Class worked with artist Monica DeCampo to create a tiled mural that hangs in the main YMCA building in Crescent Park. Students in our summer Teen Art Class worked with Lee Stearns to create this mural in Elgin Park and learned how to airbrush. The Moose Jaw Museum & Art Gallery gratefully acknowledges funding assistance from the City of Moose Jaw, the Saskatchewan Arts Board, Saskatchewan Lotteries and SaskCulture Inc., the Museums Assistance Program of the Department of Canadian Heritage, Assistance to Art Museums and Public Galleries from the Canada Council for the Arts, SSW, and CIF.